Hundreds Uber and Lyft drivers held a strike Monday outside Uber's L.A. office; they urged Angelenos to use public transit and demanded Uber reverse the pay cut and guarantee drivers a $28-hour minimum pay rate. Ride-hailing drivers in Los Angeles protested against Uber Monday by refusing to pick up customers, Vox reports. The strike resulted from an Uber policy that slashed pay-per-mile by 25%, bringing the rate from 80 cents per mile to 60 cents per mile. In response, hundreds Uber and Lyft drivers held a strike Monday outside Uber's L.A. office; they urged Angelenos to use public transit and demanded Uber reverse the pay cut and guarantee drivers a $28-hour minimum pay rate. The strike was organized, in part, by L.A.-based Ride Share Drivers United, which has been helping ride-hailing drivers across the world organize. Since its start two years ago, the organization has increased its members form 300 to 3,000. 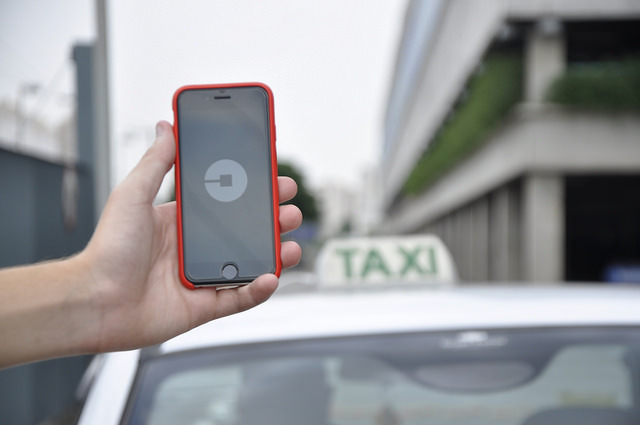 An Uber spokesperson told Vox that following the protest, the San Francisco-based company reversed its policy so "that drivers will earn about the same they did before the company increased rates in September." However, the spokesperson did not give a specific number.